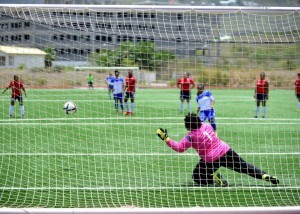 CAYHILL, WILLEMSTAD — The Oualichi Women’s Soccer Association will be organizing for the second time, the Dutch Caribbean Women’s Soccer Cup. This event was first held in 2015 with participating countries- Bonaire, Curacao and Suriname all in attendance. These teams competed in the tournament against St. Maarten's very own Oualichi team. Sv. Oemasoso from Suriname took home the champion trophy. This year's tournament is scheduled to kick-off on June 23rd until June 25th. The event is renowned for bringing female soccer clubs from the Dutch Caribbean together, with one of the main goals of the event being to develop the sport amongst the sister islands. Aruba and Curacao has a long-standing experience with women’s soccer with each country already having various women’s teams. Both teams representing these two islands will compete for the first time in Sint Maarten against other clubs in the Dutch Caribbean. SV. Britannia from Aruba and SUBT Korsou from Curacao will be traveling in June to represent their countries. For Sint Maarten, the Oualichi team has already played against the Bonaire team in the previous Dutch Caribbean Cup and against SV Britannia when Oualichi traveled to Aruba in October last year and competed in an exhibition match organized by the football federation of Aruba. 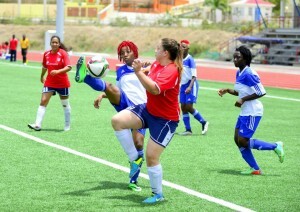 Oualichi lost 3-0 against Aruba and aims to rematch Aruba with a win at home. The newly elected President of Oualichi, Ms. Dagmar Daal, wishes to welcome the entire community of Sint Maarten to come watch these excellent games that will be played at the Raoul Illidge Sports Complex. 'Two years ago we had a huge crowd who came out to watch the games and we hope that this year it will be two times the size of spectators'. The Competition kicks off on Friday 23rd of June at 7:30pm with the opening ceremony and followed at 8:00pm with the first game of Sint Maarten against Bonaire. 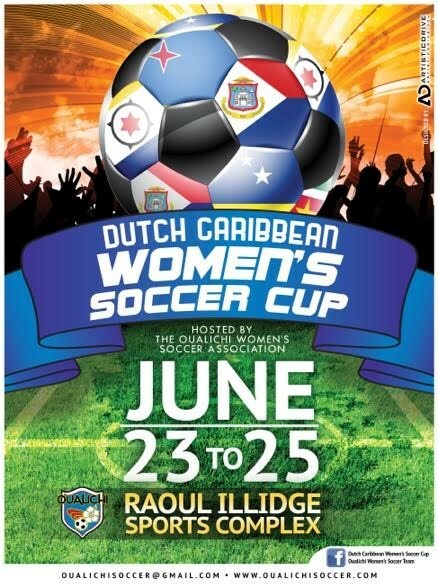 Competition schedule, sponsors and teams information can be found on the Facebook pages of the Dutch Caribbean Women’s Soccer Cup and the Oualichi Women's Soccer Association.